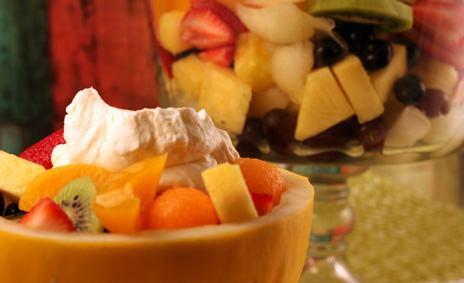 A favorite at picnics and cookouts, this fresh fruit salad recipe is a classic side dish to the tangy, salty main entrees. Fresh summer fruits go perfectly with the Fruit Cream Dressing, making a luscious dessert that’s easier on the waistline than traditional fat loaded cakes or pies. 1. Combine all fruits and chill. 2. 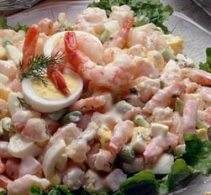 Serve with Fruit Cream Dressing (recipe below). 1. Soften cream cheese, whip with powdered sugar. 2. In a separate bowl, combine whipping cream and sugar together, whip until it forms soft peaks. 3. Combine beaten cream cheese, whipped cream, and lemon juice; continue to beat, adding just enough pineapple juice to achieve desired consistency. 4. 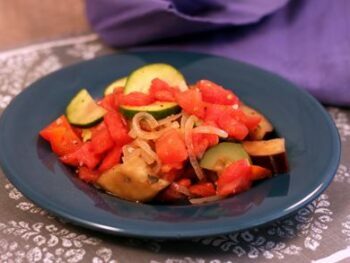 Serve with fresh fruit salad.